Abstract submissions for FIP is now open. Please visit http://sites.utoronto.ca/gasp/FIP.html for abstract guidelines. The deadline for abstract submission is Wednesday March 30th, 2016. FIP is THE Department’s Annual Research Day where all of our trainees across the research platforms come together to showcase and celebrate their research. All Physiology graduate students are expected to participate and encouraged to submit abstracts. We have over 135 trainees in the department, and I look forward to meeting everyone. Faculty are asked to ensure their trainees are present for all activities on May 11th and also for Professor Bliss’ Keynote Lecture on May 12th (FIP schedule). FIP would not be possible without the help of the many volunteers. Volunteers are needed to judge the oral and poster presentations. Time commitment is minimal. Interested faculty/postdocs are urged to send an email to UoftFIP@gmail.com as soon as possible with your name, platform, and preferred presentation type (oral/poster). On behalf of the department, I would like to thank Frances Wong, Diana Buchsbaum, Colleen Gillon, Lina Tran and their team for all their hard work. We look forward to another successful FIP! Congratulations to Dr. Valerie Watt for receiving two grants to significantly enhance the teaching curriculum in the Department of Physiology. The first is an Advancing Teaching and Learning in Arts & Science (ATLAS) grant for "The Department of Physiology's Vision & Change Blueprint" to enhance the overall teaching program and incorporate modern teaching methods to our curriculum. The second is a STEP Forward grant from the Faculty of Arts and Science to "Integrate Interprofessional Healthcare Placements into your Physiology Undergraduate Curriculum". Both of these grants demonstrate vision and will have a positive impact on the student learning experience in our department. Congratulations to Dr. Martin Wojtowicz on being awarded the 2016 Excellence in Linking Undergraduate Teaching to Research in Life Sciences Award. The award recognizes sustained excellence, mentorship and innovative methods that link undergraduate teaching to experiential research opportunities such as research project courses, summer student research projects or equivalent programs in Arts and Science offered by the Basic Sciences Departments in the Faculty of Medicine. Martin will receive the award at the Faculty of Medicine’s Education Achievement Celebration on May 11, 2016. Congratulations to Dr. Patricia Brubaker who was honoured with other sustainability leaders at the Green Ribbon Gala held at the Faculty Club on March 9th. Patricia was awarded a Green Ribbon Award and recognized for her efforts to reduce the number of light bulbs in the Medical Sciences Building, and implemented a “bring your own cup” policy in the building. I am pleased to announce that the BRAIN Platform Day was successfully staged on March 3, 2016. We had 8 oral presentations and 20 posters followed by a Departmental Seminar with Dr. Shernaz Bamji from the University of British Columbia, who not only helped judge the oral presentations but also gave a wonderful presentation on synapse plasticity. I would to thank the following people who helped judging poster and oral presentations: Drs. Peter Carlen, Graham Collingridge, Adam Fekete, William Hutchison, Evelyn Lambe, Peter Pennefather, Graham Pitcher, Steve Prescott, Stephanie Ratté, Dave Scanlon, Frances Skinner and Shuzo Sugita. I am very grateful to Eva Eng for her hard work on all organizational logistics to ensure a productive day, and to Ankur Bodalia from GASP and other graduate students for setting up things in the Stone Lobby. 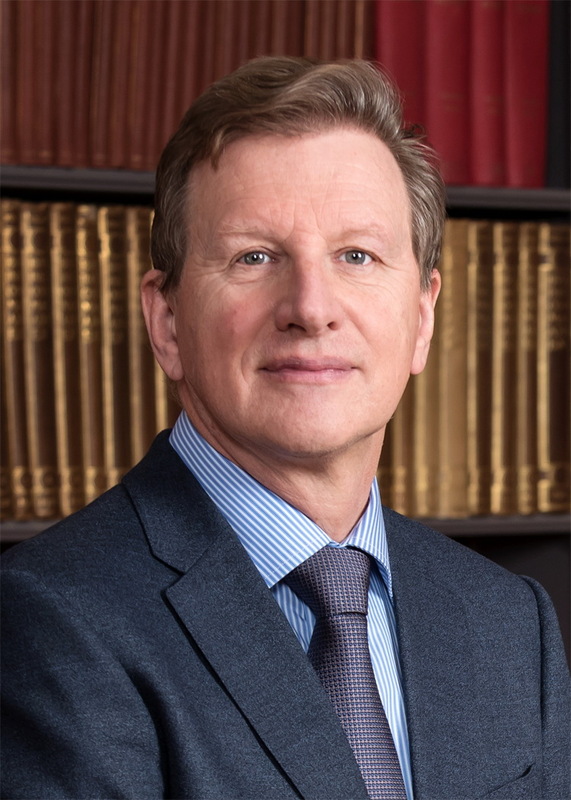 These special awards will be presented at the Macallum Lecture by The BRAIN PRIZE winners Professor Tim Bliss and Graham Collingridge on May 11, 2016. Thank you to everyone who came out to March's pub night, skating, and trivia night events! It's always great to have a full house! If you came out to our recent adventure at the Ripley's Aquarium for an evening of Jazz music, we invite you to share your pictures on our Facebook page (https://www.facebook.com/UofTGASP/?fref=ts). Also, we are looking for volunteers for our two outreach events: Physiology Day (April 14th) and Science Rendezvous (May 7th). In Physiology Day, graduate students will lead motivated high school students through a day of labs centered around Cardiovascular, Respiratory, and Genetic themes. Science Rendezvous, on the other hand, is aimed to explain science and the research we do at the University of Toronto to the general public through interactive activities set up along St. George St. For more information or to sign up, please contact Kiru at Kirusanthy.kaneshwaran@mail.utoronto.ca (Physiology Day) or Melanie at Mel.markovic@mail.utoronto.ca (SRV). Last but not least, abstract submissions for the 36th Annual Frontiers in Physiology Research Symposium (FIP) is now open! FIP will be happening on Wednesday May 11th and the deadline for submission is Wednesday March 30th, 2016. A huge thank you to Ursula Nosi, Frances Wong and Huijuan Yang for volunteering on Friday, March 11th for the 7th annual StemCellTalks Symposium! StemCellTalks is a national youth outreach initiative aiming to educate grade 11/12 students on stem cell biology and the ethics surrounding stem cell research through interactive debates between renowned stem cell researchers and graduate student-led round table discussions. At this year’s symposium, the students learned how retinal stem cells and prosthetic devices can be used to improve and restore vision to patients, and were introduced to the issue of premature commercialization of stem cell research and the need for effective clinical trials. Real breakthroughs in Alzheimer's and dementia will come because we’ve started to understand their physiology at its most basic level. Crossword puzzles can help keep our minds sharp, and doctors are getting closer to find ways to treat Alzheimer's and dementia. There’s an old saying that a crossword puzzle a day keeps your mind sharp. The newest science is starting to explain why. Rate of Pay: SGS I/II - $42.90 hr. The Department’s hiring policy is available in the Departmental Office and at the CUPE, Local 3902 Office. It is understood that some announcements of vacancies are tentative and pending final course determinations and enrolment. The University of Toronto is strongly committed to diversity within its community and especially welcomes applications from visible minority group members, women, Aboriginal persons, persons with disabilities, members of sexual minority groups, and others who may contribute to the further diversification of ideas. This job is posted in accordance with the CUPE 3902 Unit 1 collective agreement.